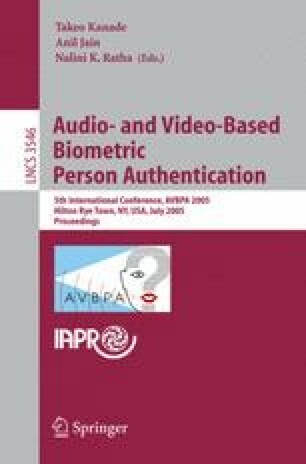 In this paper, we present the biometric authentication system based on the fusion of two user-friendly biometric modalities: Iris and Face. Using one biometric feature can lead to good results, but there is no reliable way to verify the classification. In order to reach robust identification and verification we are combining two different biometric features. we specifically apply 2-D discrete wavelet transform to extract the feature sets of low dimensionality from iris and face. And then to obtain Reduced Joint Feature Vector(RJFV) from these feature sets, Direct Linear Discriminant Analysis (DLDA) is used in our multimodal system. This system can operate in two modes: to identify a particular person or to verify a person’s claimed identity. Our results for both cases show that the proposed method leads to a reliable person authentication system.